most specialized child counseling psychotherapy practice in Chicago and the western suburbs. Offices in Chicago's Lakeview neighborhood and downtown Naperville. Our mission is to help children and families with difficult life situations. Our practice is dedicated exclusively to helping families, children and parents who are facing emotional, behavioral, relationship, family and school problems. Unlike other local practices, we do not serve numerous types of clients. We focus on counseling for children (even very young ages), teens and families. Email or call us today to discuss how we can help. Click Here for Info and Pictures of our Chicago Lakeview Location. Click Here for Info and Pictures of our Naperville Downtown Location. The therapists at Child Therapy Chicago are very experienced in the areas of child development, child mental health and behavior problems, family issues, parent coaching, and parent-child relationships. Dr. Duval Tsioles is an expert in children's issues and behavior. She is a psychodynamically oriented child psychotherapist who founded Child Therapy Chicago, a private practice that focuses on understanding the meaning of children's behavior. Dr. Duval Tsioles works with infants, toddlers and children, adolescents, young adults, parents and expecting couples‎‎. She has worked with children and families since 1994 as a clinician and researcher in child welfare, counseling agencies, educational institutions, and private practice. Dr. Duval Tsioles has worked as a psychotherapist, clinical supervisor, instructor, and researcher in a variety of settings including private practice, educational institutions, child welfare services, and community counseling agencies. She has experience working with behavioral problems, mood issues, emotional regulation, school problems, divorce, sleep difficulties, aggression, parent-child relationships, attachment and adoption, social skills, and parent coaching. Dr. Duval Tsioles is also on faculty at the Institute for Clinical Social Work (ICSW) where she teaches and consults with doctoral students on their clinical cases and dissertations. She also conducts trainings in early childhood mental health and development, is a practicing clinician, and is involved in several clinical research projects with other advanced clinical institutions. She is a published author, has presented at several conferences, and is a peer reviewer for a major clinical social work journal. Institute for Clinical Social Work, Ph.D.
University of Illinois at Chicago, M.S.W. (2006). Affect and Behavior Regulation Among Homeless Young Adults Formerly Involved with the Child Welfare System. Child and Adolescent Social Work Journal,Volume 26, Issue 2, pages 155-173. (2013). The Experience of Remarried Couples in Blended Families. Journal of Divorce and Remarriage, Volume 54, Issue 1, pages 43-55. (2014). Psychoanalytic Training Experience and Post-Graduate Professional Development: A Survey of Six Decades of Graduate Analysts. International Journal of Psychoanalysis. (2017). Psychoanalytic Training Experience and Post-Graduate Professional Development: A Survey of Six Decades of Graduate Analysts Part 2. International Journal of Psychoanalysis. Dr. Vicky Oliver is a Licensed Clinical Social Worker with over 20 years of experience as a psychodynamically trained therapist. Dr. Oliver has expertise in the treatment of children, adolescents, and families with a wide range of issues including attachment difficulties, issues related to adoption, behavioral problems, ADHD, anxiety, depression, alcohol and substance abuse, and other problems. Dr. Oliver also specializes in the treatment of trauma, such as physical and sexual abuse, witnessing violence or other traumatic experiences. She has completed the first phase of training to become certified in EMDR (Eye Movement Desensitization Reprocessing), a method used to treat trauma. Dr. Oliver’s experience includes working as a psychotherapist in a private practice, a residential setting for adolescents and an outpatient child and family therapy clinic. She was also the Director of an outpatient therapy clinic. Institute for Clinical Social Work. Ph.D.
Sarah Stephens Ramani is a psychodynamically-oriented therapist specializing in the treatment of children and families. Sarah has a profound respect for the inherent worth and individuality of each child. Sarah works collaboratively to discover the meaning of challenging behaviors and areas of difficulty in the life of a child. She is especially interested in how current research on the brain informs how to address stress and trauma, as well as the importance of creating and nourishing strong relationships through attachment-based interventions. She has a wide range of clinical experience with childhood emotional behavior problems such as anxiety, depression, loss, ADHD, social and relationship problems, blended families, and parenting concerns. In addition to her work at Child Therapy Chicago, Sarah provides therapy in a school setting. She works regularly with parents, teachers, school counselors, and administrators. 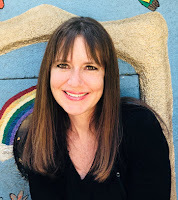 Tricia Sybesma is a licensed clinical social worker whose fifteen years in the field have been devoted to working with children, adolescents, parents, and families in a variety of settings. She has extensive experience with developmental assessments, attachment work, assisting families with stressful adjustments, including divorce, co-parenting, and step family systems, and interpreting challenging behaviors as meaningful communication. Her experience and education have centered around infant and early childhood mental health, with emphases on attachment and childhood stress, as well as grade school age childhood and adolescent emotional, behavioral, relational, social and school related issues. She has also worked with families experiencing adoption, children and adolescents with medical conditions, parents and children recovering from intimate partner violence, children in a psychiatric hospital setting, and foster families. Tricia is influenced by psychodynamic and relational theories, with a special interest in the importance of early experiences and their effect on behavior and brain development. She has training in psychodynamic play therapy, child-parent psychotherapy, cognitive behavior therapy, and others. Tricia’s goal in her work is to help children and parents understand one another, enjoy one another, and have nurturing, safe relationships that provide the foundation for a healthy and fulfilling future. Tricia seeks to hold the child and adolescent’s experience at the forefront of the treatment experience and allows them to guide the process, giving voice to the exceptional and important work it is to learn and grow. Ruth Orme-Johnson is a Licensed Clinical Social Worker whose career has been dedicated to helping children and youth, as well as supporting parents. She has worked as a school social worker with kids ranging from pre-school through eighth grade. Her years in the educational environment have given her expertise in addressing and treating school-related concerns, including school refusal, bullying, academic anxiety, peer relationships, self-esteem and social skills building. Ruth has significant experience working with children and teens who struggle with their behavior, anxiety, anger management, handling and expressing feelings, and with kids on the Autism spectrum. Ruth has also worked closely with children and adolescents who were exploring issues of gender and sexual identity. Further, Ruth has provided services to youth at workforce development agencies and trained students, parents and teachers in mindfulness and conflict resolution practices. In therapy, Ruth works collaboratively with children and parents to create a healthy and nurturing environment that translates into healthy and nurturing relationships and the ability for kids to better manage their emotions and behaviors. Her work is psychodynamically informed and she is trained in cognitive behavioral therapy (CBT), mindfulness practices and group relations theory. Outside of her work at Child Therapy Chicago, Ruth is on the staff of a literary arts organization in Chicago that uses literature as a therapeutic tool for youth and young adults. She also serves as a clinical consultant to an ongoing research study through University of Illinois School of Public Health. Mallory Hilliard is a Licensed Clinical Social Worker with over 8 years of experience working with children, teens and families. She has worked with young children, school—aged children, and adolescents struggling with behavior problems, anxiety, depression, anger, ADHD, substance use disorders, parental separation and divorce. She also has experience working with adoption related issues, children and adolescents diagnosed with a medical condition or chronic illness, and families who have been exposed to trauma, violence, loss or who have been impacted by parental substance use. Mallory has solid knowledge of child development and attachment, emotional and behavioral health, parent support and parent coaching. She takes a Psychodynamic and Family Systems approach to working with families. She also provides Trauma-Focused Cognitive Behavior Therapy (TF-CBT). In addition to working at Child Therapy Chicago, Mallory provides outpatient therapy and conducts group therapy at a top children’s hospital with children and teenagers. University of Illinois, Champaign-Urbana, B.A.